At this year's World Food Day in Haiti the theme was "Sustainable food systems at the service of food security and nutrition". Minister of Agriculture, Thomas Jacques, spoke on banana production, which has declined noticeably within the last two decades. The Inter-American Institute for Cooperation on Agriculture issued a report, citing banana production was under 450,000 metric tons by 2009. In 1999 banana production was 600,000 metric tons. Bananas are one of the largest-volume exports Haiti has had in the past, and Jacques hopes for resurgence in banana production and consumption in the future. With funds available to up banana production, employment opportunities would increase and food insufficiency decrease. 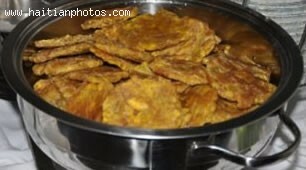 A truly versatile meal that can be enjoyed at any time of the day, Plantain Purre or Labouyi Bannann is a favorite in Haiti. Its wholesome, filling portions make for a nutritious, appetizing treat. 1. Peel the plantain and then cut it into slices of about 1/2 an inch in thickness. 2. Puree plantain slices in a blender with 2 cups of water and the ripe banana. 3. 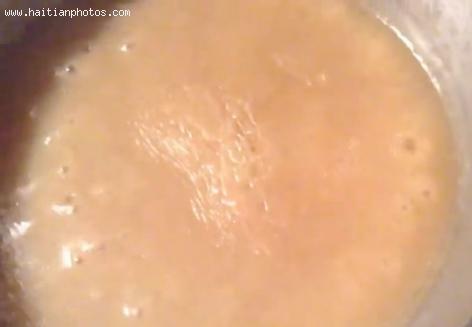 Bring plantain and banana puree to boil over low to medium heat and bring to a boil. 4. Add additional ingredients, evaporated or soy milk, coconut milk or regular milk, vanilla extract, anise stars, sugar, lime rind and nutmeg. 5. Bring to boil and stir occasionally. 6. Cook for 15-20 minutes until it becomes the consistency of oatmeal. Serve while still hot. 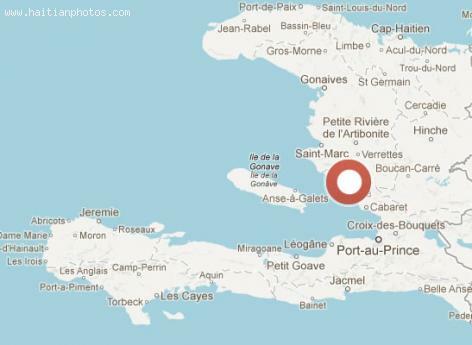 Haiti has a lot of popular cities and municipalities, one of which is the town of Arcahaie in the Arrondissement of Arcahaie. This town is one of the two that make up the entire arrondissement, while Cabaret is the other municipality. It houses more than 106,500 people and is a recognized town. Arcahaie nan awondisman Arcahaie. Vil sa a se youn nan de a ki fè moute awondisman an tout antye, Cabaret se lòt minisipalite a. Plis pase 106.500 moun Ap Viv ladan-Li. Arcahaie's popularity is mainly attributed to its historical heritage, as a lot of significant incidents in the past occurred here. One of them is the memorable 1803 Congress, wherein the unity if Haiti's black people and mulattos was signified. It can be recalled that the country's founding father, Jean-Jacques Dessalines, replaced the French flag with a blue and red flag after tearing it apart during the Congress. It was the first time in three years of revolution that Haiti's unity had been symbolized.